The meaning of this data confounds African-American parents, who wonder whether white teachers are targeting their children and has made educators increasingly uncomfortable. Yet not until the principal of Seattle’s Garfield High sat face to face with a prisoner at Monroe Correctional Complex did the insidious nature of school discipline become clear to him. Ted Howard, who is African American, had traveled to the prison on a Saturday in 2013, with a delegation from South Seattle curious about the education experiences of black inmates. He listened as the man — the third generation in his family behind bars — described being a student in Seattle schools not many years earlier: No one came looking for him when he was sent from the classroom. Nor when he wandered the hallways. Nor when he walked right out the schoolhouse door. “It was like they’d said ‘good riddance,’ ” Howard recalls the inmate explaining. Today, that man’s children, also in Seattle schools, feel similar disconnection. “That’s when it started hitting home — I was part of the problem, too. I was what these inmates were talking about,” said Howard, who has led Garfield for more than a decade. In Washington and nationally, schools have begun to reconsider their discipline policies because removing students from school rarely leads to improvements in behavior, and because the skew in suspension rates mirrors that achievement between students of different races. In response, a handful of districts are training teachers to de-escalate outbursts, instead of immediately resorting to punishment. Denver and San Francisco swear by restorative justice, which aims to rebuild frayed relationships. But no approach has significantly cut racial disproportionality in discipline, now a veritable third rail in any discussion of academic outcomes. In Seattle this pattern was notable enough to attract attention from civil-rights investigators, who spent three years combing through referral reports but have yet to make an official finding. Collecting data, it seems, is comparatively easy. Grasping its significance, far more difficult. Take the case of Malik Johnson, 14. The first time he was suspended, in third grade, Malik didn’t even understand what was happening. 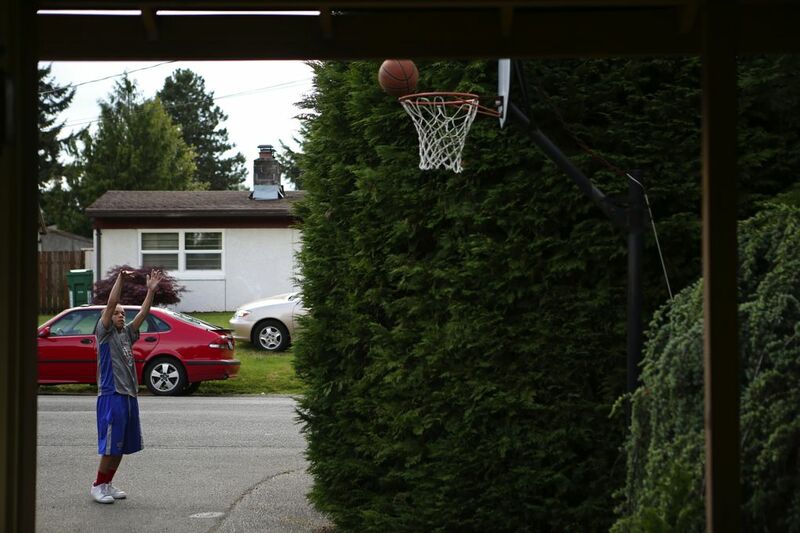 All he knew was that there had been a shoving match with another boy at his North Seattle elementary school and the only difference between them — as far as Malik could tell — was that he was black, the other student, white. His mother had already received a series of phone calls from administrators: Malik shouted inappropriately in the lunchroom, jumped stairs two at a time. He was fidgeting in his seat, getting up to sharpen his pencil too often. The school kept track of it all, noting every infraction in a black notebook, Malik’s father said. “I asked, how many other kids are you doing this for, and the principal told me, ‘None, just Malik,’?” James Johnson recalled. So began a series of suspensions, missed field trips and other sanctions, culminating last year in an expulsion from Jane Addams K-8 for “unprovoked assault” — downgraded to an 11-day suspension after Malik’s mother explained that he had been the target of online bullying. All told, she estimates her son has missed about five weeks of school. Struggling to understand why their child is so frequently sanctioned, Malik’s parents have arrived at only one answer. The school rejects this interpretation. It is the Johnsons who are preoccupied with race, they say, such that the family has twice called police, complaining of harassment. That rift in perception exemplifies the tension around student discipline, where increasingly poor, minority students clash with a teaching force that is 87 percent white. Further, say some psychologists, kids from different cultures are raised to connect differently with adults. “There is research that shows white kids and Asian kids are geared toward rewards. 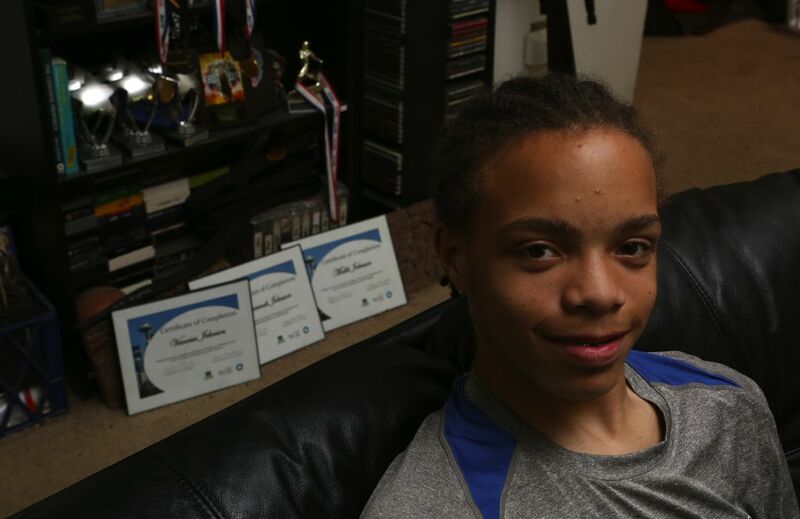 They’ll do what you ask in order to get the prize, or the grade, or because the authorities said to,” said Caprice Hollins, former director of Seattle’s Office of Equity, Race and Learning Support. Hollins, who is black, left Seattle in 2008, after her trainings on institutional racism and white privilege came to be seen as political correctness run amok. Still, she believes a philosophical shift was beginning to take root. Nonsense, said Mike Magruder, a veteran teacher at Madison Middle School. Washington schools are not legally bound to provide tutoring for students under suspension, nor any help with behavior, leaving many to return farther behind and, often, en route to more problems. The link between this cycle and poor academic outcomes has become clear enough to inspire action in many other states. Last year, California Gov. Jerry Brown signed a law eliminating suspension for any child accused of defiance in third grade or younger. 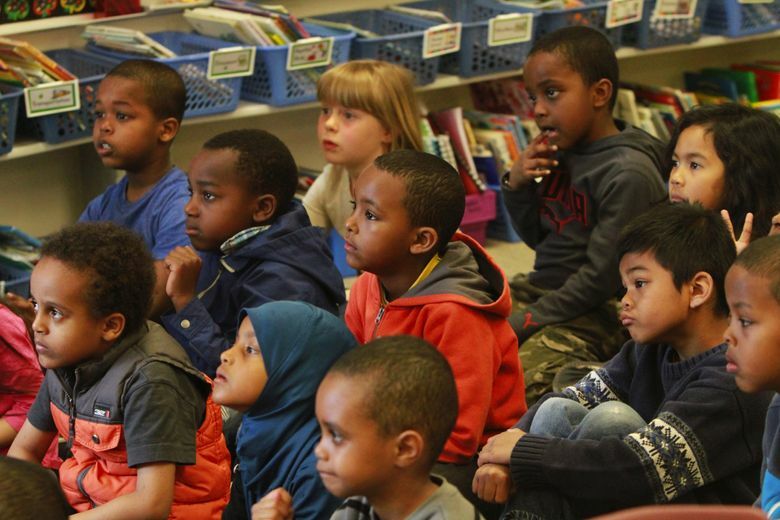 Minneapolis (under federal watch) has decreed that all minority-student suspensions for nonviolent behavior be reviewed at the highest levels. Baltimore and New York City are making similarly sweeping changes. Similar passivity long existed at the state level. Despite a reputation for progressivism, it has taken years for Washington to systematically track school discipline. Last month, the first wave of comprehensive, district-by-district information was finally released: Of 69,754 suspensions and expulsions meted out in 2013-14, the vast majority — 78 percent — went to kids from low-income families, most of whom were students of color. Many educators say the raw numbers disguise important facts. Most important, that the bulk of referrals come from a handful of teachers, and fail to show behavior improvements made year to year within one class. Whatever they see as the cause, on one point educators appear to agree: If the goal of discipline is changing behavior, revolving-door suspensions do not work. In Seattle, a third of all suspended students get sent home repeatedly, and last year three-quarters of these repeaters were kids of color — including an eighth-grader at Madison Middle tossed eight times; a third-grader at Highland Park Elementary booted nine times; and a seventh-grader suspended 10 times from Whitman Middle School. Recent racially charged riots in Baltimore and Ferguson, Mo., make even plainer the connections among disengaged young people, corrosive mistrust and disastrous outcomes. “I started to develop the mentality that it was me versus them, like they were more against me than there for me — sort of the opposite of what school is supposed to stand for,” said Tomas Abebe, 18, a black senior at Chief Sealth High School in West Seattle, who estimates he has missed 50 days due to suspensions, many of which he considered unjust. A slight young man with large round eyes, Abebe has spent years puzzling over what he sees as a pattern of being singled out. 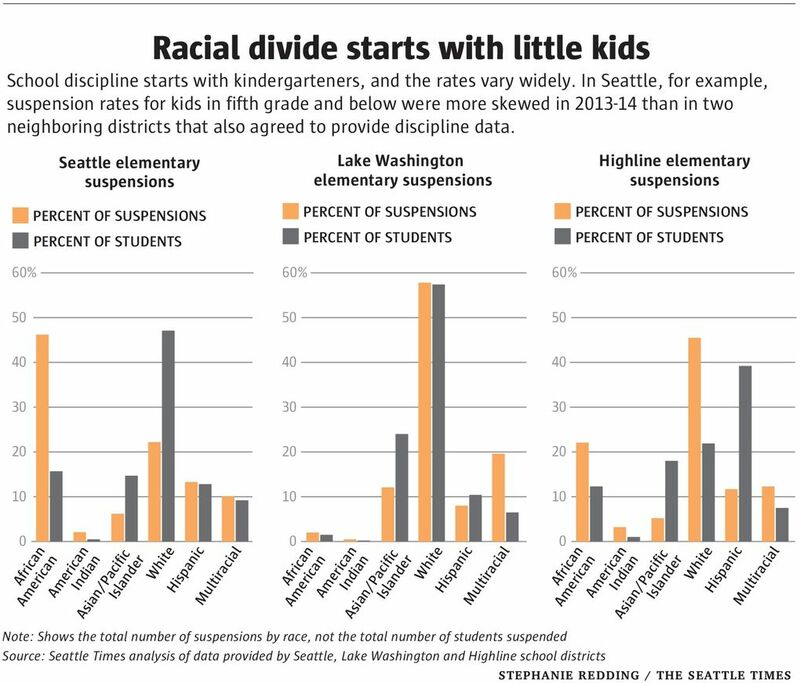 Discipline rates in Seattle have improved since 1997, when 26 percent of black teens were suspended from high schools (compared with 9 percent of whites), and the prohibition against corporal punishment was only three years old. But back at Garfield, Principal Howard still stays late, agonizing over the numbers and his conscience. Howard is no softy. The son of a former principal himself, he has sent hundreds of black kids out — even when he knows they’ll go home to dysfunction or drug abuse, even when he believes they might not come back. Yet he returned from the Monroe prison trip chastened, and in the past year has overseen a 59 percent drop in the suspension of black students — the largest decrease of any Seattle high school. This does not mean he has cracked the code. Howard now views discipline as evidence of something much more complicated than misbehavior alone. Schools are a sorting system, he believes, one that trains some kids for success while funneling others toward failure. If educators truly cared about changing this model, he said, their entire blueprint would be reworked with more counselors for kids who struggle and a priority put on stronger teacher-student relationships — something far beyond a consciousness-raising workshop.